Americans are spending more time than ever watching video content on televisions, mobile devices, and the Internet, according to the Nielsen Cross Platform Report. 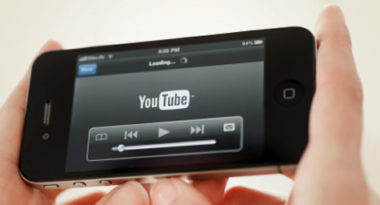 MediaPost.com offered insight on the modern-day video consumer to give marketers a better picture of this growing group. While TV viewership had moderate growth and remained the primary source of video for all ages, mobile video viewing continued to soar as the number of Americans watching video via their mobile devices jumped 41 percent since 2010 and more than 100 percent since 2009. Internet video viewing also increased and was highest among younger demographics. Speaking of demographics, African-Americans watched the most video content on television and mobile devices, while Asians spent the most time streaming video on the Internet and the least time watching traditional TV. Adults aged 50-64 were the largest group of television viewers, adults aged 35-49 made up the largest segment of Internet video watchers, and adults aged 25-34 were the largest mobile video audience. One of the most notable trends among TV and Internet homes was that users who watched the least amount of television watched the most Internet video, and the heaviest Internet video streamers watched the least television. Also, 91 percent of homes paid for television-content subscriptions in the first quarter of 2011. Armed with this enlightening information, marketers will hopefully have a much clearer view of the modern-day video consumer. MDG Advertising, a full-service Florida advertising agency with offices in Boca Raton and New York, NY, specializes in developing targeted Internet marketing solutions, exceptional creative executions and solid branding and media buying strategies that give clients a competitive advantage. Our core capabilities include print advertising, branding, logo design, creative, digital marketing, media planning and buying, TV and radio advertising, video marketing, public relations, Web design and development, email marketing, blog development, social media marketing and SEO. View MDG Advertising’s creative marketing portfolio.